When working in an office 9-5 every day, the thought of having a corporate away day can be a motivating factor to keep working hard. In fact, it has been revealed in a survey by recruiting website Glassdoor that more than a third of employees in the UK have consider perks and benefits such as corporate days out, as one of the main factors they consider as to whether or not accept or refuse a new job offer. As a result, corporate away days are now very much considered as part of the working culture of many companies based in the UK. An increasingly popular type of away day for companies is clay pigeon shooting. Shooting with your colleagues and friends is a great way to enjoy yourselves in a different setting, trying something a little bit different. Clay pigeon shooting is also a fantastic option for you and your employees when considering a break away from the office. It is likely that the opportunity to do target and clay pigeon shooting is far removed from the usual tasks involved for the employees at your company. Letting your employees have a chance to get themselves involved with clay pigeon shooting and have fun with colleagues is an excellent way to encourage team-building, leading them to become re-energised once they get back into the office. Clay pigeon shooting provides a team-bonding session amongst employees, outside of what can be a fast-paced, stressful working environment. Having a day out shooting at a gun club is also something very different and unlikely to have been experienced by most of your staff previously, adding an additional air of excitement for the day out. 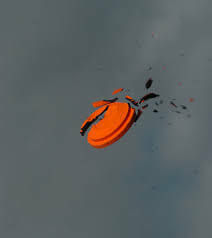 It allows colleagues and friends to chat without the pressure of tasks that need to be completed and it is an opportunity for others who have perhaps not done clay shooting before to be helped by those who have, which is another way for colleagues to bond and build on professional relationships. If your company has had an excellent few months or year, then getting the team all involved in a corporate day out involving target or clay pigeon shooting is a fantastic way to reward their hard work. It is important to remember that if your workforce feels appreciated for all the hours they spend at the office helping to drive the company forward, they are going to be a much happier team for it. This has a great knock-on effect, as it means you are more likely to have higher staff retention levels (after all, it should come as no surprise that unhappy staff are more likely to leave) which also then saves you, as management, more time by not having to consistently recruit and replace old staff members, helping you to focus instead on ways to continue driving the business forward. Happy and rewarded staff also tends to amount to a much more productive workforce who feel more strongly connected to the business and its ongoing progression and success. Do You Need a Gun Licence for Clay Pigeon Shooting? One concern that is sometimes raised by businesses considering target and clay pigeon shooting as an away day is the fear that gun licences, such as a Shotgun Licence, need to be obtained. Luckily, this is not the case, as shooting grounds have a Section 11/6 Licence from the Police. This allows non-shotgun licence holders to shoot on the grounds and participate in clay pigeon shooting providing that they are under the supervision of one of the instructors on the grounds, so you won’t need to worry about how to get a gun license; certain guns, in certain conditions and under strict supervision are legal in the UK, and we ensure that this is all covered for you. Another advantage of choosing target and clay pigeon shooting for a corporate away day is that it doesn’t matter whether or not you have employees who have not done it before. Your staff will be in groups and looked after by a professional instructor, who will provide tuition on how to shoot, to ensure all your team get the most out of their day. If you are worried about safety, there is no need to panic either. A safety briefing is always provided beforehand so that the groups are carrying out clay pigeon shooting in a safe and informed manner, enabling them to fully experience and enjoy the thrill of shooting clay pigeons in beautiful country grounds. When it comes to target and clay pigeon shooting, the office hierarchy becomes completely redundant. This is fantastic for corporate away days, as it means you are much more likely to get the best out of the group. In most cases, office teams come to shooting days all having completely different capability levels.